Robin (a subsidiary of Subaru Corporation) previously developed and supplied all-terrain vehicle (ATV) and snowmobile engines for Polaris Industries Inc. Starting in 1995 with the Polaris Magnum 425 4-stroke ATV and in 1997, with the introduction of the "twin 700" snowmobile engine Polaris started the development and production of in-house produced power plants, known as the "Liberty" line of engines, now found in many models across their current production lines. Since that time Polaris has continued to develop their in-house engine production capacity, now designing and manufacturing all of their own power plants, while maintaining the partnership with Subaru. In 2010 Polaris relocated a portion of its utility and sport vehicle assembly to Mexico. Components manufactured in Osceola, Wisconsin and the vehicle assembly in Roseau, Minnesota. The vast majority of powertrain and vehicles for the off-road line are manufactured in the Osceola and Roseau facilities, respectively. Both the Victory and Indian motorcycle brands are American made with complete powertrains and vehicle assembly located in Osceola, Wisconsin and Spirit Lake, Iowa, respectively. 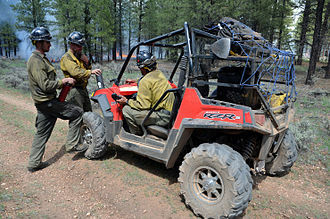 Polaris RZR ATV used by firefighters in the Kaibab National Forest. Edgar Hetteen, who was described by the Snowmobile Hall of Fame in St. Germain, Wisconsin as the father of the snowmobile, David Johnson, and Edgar's brother Allan Hetteen were partners in Hetteen Hoist and Derrick in Roseau, Minnesota. Edgar had dropped out of school after the eighth grade in 1934. David Johnson and company employees Paul Knochenmus and Orlen Johnson, who was the first person to ride a Polaris, decided to create a vehicle that could travel through snow. These vehicles' primary use was to make hunting locations more accessible. David Johnson and several employees created the prototype in 1954 while Edgar was on a business trip. Edgar returned to Roseau to discover the snow machine and was furious the employees had used their time and company resources on the machine. 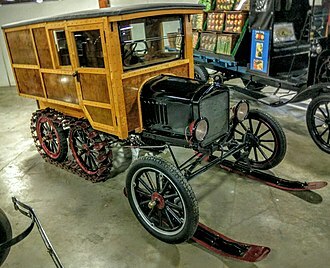 This first machine used a grain silo conveyor belt as a track, a Briggs and Stratton motor, and an old Chevy bumper for skis. Edgar was skeptical of its value, and the No. 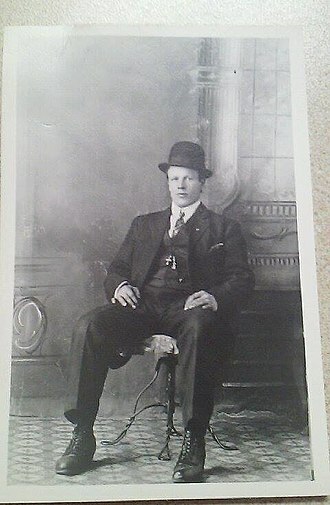 1 sled was soon sold to Roseau lumberyard owner "Silver Pete" H.F. Peterson for $465 in order to meet company payroll. However, the employees continued to focus on building snowmobiles and soon a second model was created, with Allan Hetteen leading the way; it was called the Polaris Sno Traveler. The first production model rolled off the assembly line in Minnesota in 1956. The original models weighed close to 1,000 lb (450 kg) and moved at a speed of about 20 mph (32 km/h). As Polaris snowmobiles gained sales traction, Edgar Hetteen became an advocate of the new product line. In order to promote the new snowmobile and prove its reliability and usefulness, in 1960 Edgar led a three-snowmobile, 1,200-mile trek across the Alaskan wilderness, starting from Bethel, Alaska. The trip took three weeks, and much of the time, Edgar struggled to maintain 10 mph over the snow. The Fairbanks Daily News-Miner put them on its front page. However, Edgar's absence caused problems for him with the Roseau bank's board of directors. Soon after completing the trip, Edgar left the company in June and started a competing company called Polar Manufacturing in Thief River Falls, Minnesota. The company name later changed to Arctic Enterprises; in the mid-1980s it filed for bankruptcy amid fierce competition as snowmobiles became popular and other manufacturers jumped into the market. The company emerged from bankruptcy and continues on today as Arctic Cat. Polaris began developing a smaller consumer-sized, front-engine snowmobile to compete with the Ski-Doo in the early 1960s. In 1964, Polaris released the Comet. However, the Comet soon ran into problems as it could not travel in all types of snow conditions. Polaris then recalled the sleds and quickly developed a new prototype to avoid bankruptcy. The new model, the 1965 Mustang, became a hit as a family snowmobile and boosted Polaris sales. Polaris continued to develop snowmobiles similar to this model throughout the 1960s-1970s, and went on to become one of the leaders in the snowmobile industry. In the early 1980s, Polaris started creating an Indy style snowmobile with IFS and a wider stance. They continued with the Indy style sled in the 90's with the Storm, Ultra, and Trail lines, within the last few years Polaris has re-introduced the INDY model name. In 1985, Polaris introduced the Trail Boss, which is considered to be the first American-made all-terrain vehicles (ATV). 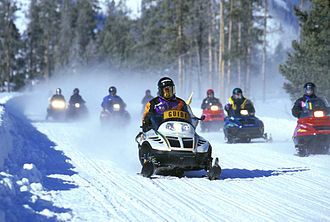 In the late 1990s, Polaris introduced the Polaris Rocky Mountain King (RMK)- a snowmobile specific for mountain terrain. In May 2009, Polaris announced the creation of an On-Road Vehicle Division. The new division will be devoted to the growth of Victory motorcycles and other on-road products and brands. In 2010, Polaris introduced the Polaris Rush snowmobile which had a new suspension system and better trail handling capabilities. This snowmobile is also available with retro graphics on the Rush and Iq models. In late 2005, Polaris Industries announced that it would purchase a portion of KTM Motorcycles. Through this venture KTM has developed their own ATV and Polaris has developed Sport ATVs which utilize the KTM 525 and 450 powerplants. 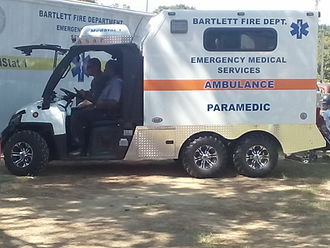 A Polaris Ranger modified as an Ambulance. On May 21, 2010, Polaris announced that it was opening a new manufacturing plant in Mexico. The sister facility in Osceola, Wisconsin still remains in full operation. The opening of the Monterrey, Mexico facility is anticipated to save the company $30 million annually, with most of that savings coming from lower wages. The Monterrey facility has 3 assembly lines devoted to production of Ranger side-by-sides for global markets. The original intent of the Monterrey facility was to serve markets in the Southern US plus Mexico and North America. In October 2011, Polaris announced an investment in Brammo, Inc., an electric vehicle company based in Ashland, Oregon, United States. Its first production electric motorcycle, the Brammo Enertia, is assembled in Ashland and sold at dealerships. Polaris continued its investment in Brammo when it participated in the $13 million opening tranche of Brammo's Series C funding round in July 2012. Polaris had been showing interest in electric propulsion, producing an electric version of its Ranger Side-by-Side and more recently buying Global Electric Motorcars (GEM). As one publication put it, "This latest move likely signals the addition of clean and quiet drivetrains to ATVs and motorcycles under the global giant's brand umbrella – snowmobiles may have to wait on battery breakthroughs before they become commercially feasible." On January 15, 2015, Polaris announced that it had purchased the entire electric motorcycle business from Brammo. Production of electric motorcycles was slated to commence at Polaris' factory in Spirit Lake, Iowa during the second half of 2015. Polaris also manufactures Victory and Indian motorcycles at the Spirit Lake factory. In 2012, production restarted on the Indy-named sleds (stopped in 2004 with the Indy 500) with the release of the 2013 Indy 600 and Indy 600 SP. For 2014, Polaris will expand the Indy name and provide model variants for nearly all categories (the one exception being the "Mountain" class). On April 11, 2013, Polaris announced that it acquired Aixam-Mega, a French quadricycle manufacturer. On January 9, 2015, Polaris announced it will be opening a new 600,000-square-foot facility in Huntsville, Alabama that will employ at least 1,700 workers. Construction on the new manufacturing plant is set to start in early 2015 and should be opened by the spring of 2016. The plant will support several core processes including, vehicle assembly, chassis and body painting, welding, fabrication and injection molding. On March 7, 2016, Polaris acquired Taylor-Dunn, a manufacturer of industrial vehicles based in Anaheim, CA. On January 9, 2017 Polaris Industries Chairman and CEO Scott Wine announced they would be shutting down Victory Motorcycles. They announced they will continue to honor warranties and produce parts for Victory Motorcycles for the next 10 years. In May 2018, Polaris reentered the production of boats by purchasing the Indiana-based Boat Holdings LLC for $805 million. The company invested further in its boating division in January 2019 with the acquisition of Marquis-Larson Boat Group out of Pulaski, Wisconsin. Production of Marquis-Larson moved to a facility in Syracuse, Indiana.. They then went on to make the Polaris Slingshot, a three-wheeler. Polaris Racing is one of the big four factory racing teams on the World Power Sports Association (WPSA) Snocross circuit. With 44 signed riders they also run in Hill Cross, Oval Track Racing, and Cross Country Racing. The Polaris Racing Team won 8 different Championships in the 2006-2007 season. Arnar Gunnarsson (#26) won the Pro Open, Gústi (#10) won Pro Stock, Klara Björk (#89) won pro women at Iceland, T. J. Gulla (#44) won the WPSA Pro Stock Championship, Ross Martin (#837) won the WPSA Pro Open Championship, and Kylie Abramson (#87) won the WPSA Pro Women's Championship. Gabe Bunke (#74) has won the USCC Pro 600 Class Championship and USCC Pro Open Class. Dustin Wahl (#74) won the Pro Ice 440 Championship, the Pro Ice Formula Championship, and the Millennium 600 Open championship, and John Cyr III (#99) won the 2004 USCC Pro 700 Class Championship. Most all of the Polaris Racing riders drive the IQR 440, 600 or 700 Racer, depending on the class and the event. Polaris holds the most number of wins in the World's Longest Toughest Snowmobile Race, the Iron Dog a 2,000 miles race across Alaska. Polaris Government and Defense (formerly Polaris Defense) is a division of Polaris Industries founded in 2005 and re-branded in 2017. The division was created after years of successful implementation of the company's off-road vehicles in military theater. The division produces a range of vehicles to serve the United States and allied forces. Products include the MRZR platform, MVRS, MV700, RZR-SW and the DAGOR. In November 2016, the U.S. Marine Corps signed a $2.5 million contract with Polaris to deliver 144 MRZR-D ATVs. Called the Utility Task Vehicle (UTV), it is a version of the vehicle already in use by U.S. Special Operations Command, but is designed to be diesel-powered and can run on JP-8 fuel. The Marines bought the unarmored ATVs because they can fit inside an MV-22 Osprey, enabling them to be deployed from long distances, to provide logistics support to ground combat units, assisting them to travel and transport supplies quicker and easier than previously on foot. The vehicles can carry four troops and have a small cargo bed capable of carrying 1,500 lb (680 kg) of payload. It is planned to field 18 MRZR-Ds per infantry regiment. The vehicles are to be delivered from late-January to April 2017. DAGOR (Deployable Advanced Ground Off-road) is a purpose-built, ultra-light combat vehicle designed and built by Polaris Defense to meet the light-mobility needs of light infantry and special operations forces incorporating military commercial off-the-shelf (COTS) components and driveline system. The vehicle can be configured in up to 48 different weapon configurations using the weapons ring and multiple pintle mounts. The vehicle is powered by a light weight, commercial off-the-shelf turbo diesel / JP8 engine located at the front section. The vehicle can transport a maximum payload of more than 1,400 kg or up to nine infantrymen in support of expeditionary missions. It offers high mobility and higher speeds over rough terrains. The vehicle is certified for air drop and internal air transport by CH-47 Chinook heavy-lift helicopter, and sling load under UH-60 Black Hawk utility helicopters. The vehicle supports low velocity air drop (LVAD) method. On March 21, 2018, Polaris unveiled the DAGOR A1, which can carry approximately 20% more payload compared to the original DAGOR. Eicher Polaris Multix, a personal utility vehicle manufactured by Eicher Motors and Polaris India. Boeing Phantom Badger, a combat vehicle platform similar to the DAGOR. ^ a b c d e f "2010 Form 10-K, Polaris Industries Inc". 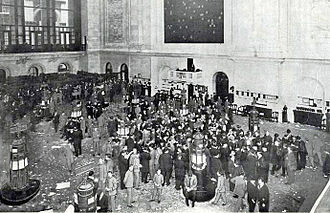 United States Securities and Exchange Commission. ^ 1956-, Dapper, Michael,. Victory Motorcycles 1998-2017 : the complete history of an American original. Klancher, Lee, 1966-. [tAustin, TX]. ISBN 9781937747930. OCLC 1002128369. ^ Shunk, Chris (20 April 2011). "Polaris purchases Indian Motorcycles, will complement Victory brand". AOL, Inc. Retrieved 26 October 2011. ^ a b c d e f Bassett, Jerry (1989). Polaris Pioneers. St. Paul, Minnesota: Recreational Publications Inc. pp. 5–13. ^ a b Dapper, Michael (2004). Polaris Snowmobile Buyer's Guide. St. Paul, Minnesota: Dapper Publishing. pp. 10–13. ISBN 0879387793. ^ St. Anthony, Neal (February 14, 2011). "'Godfather' of snowmobile industry". StarTribune. ^ "About Polaris - Creed - Values - Management Team". www.polarisindustries.com. ^ "Polaris history and heroes - Snowmobile.com". 30 January 2008. ^ Bassett, Jerry (1994). Polaris Partners. St. Paul, Minnesota: Recreational Publications Inc. pp. 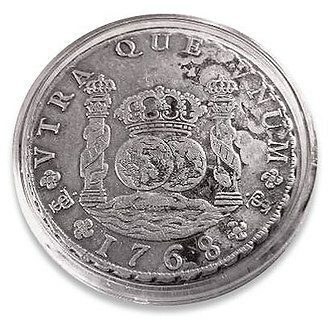 40–51. ^ Moylan, Martin. "Polaris: Moving to Mexico to get closer to customers". 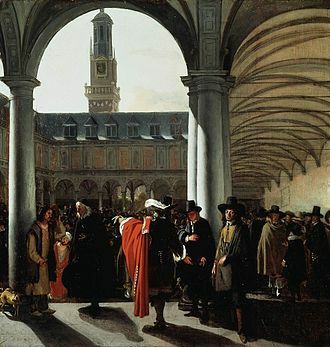 ^ "Company Background". Brammo, Inc. Retrieved 2010-07-29. ^ Williams, Christina. "Brammo closes on $13M, signs with GE Capital". Portland Business Journal. Retrieved 13 July 2012. ^ Yoney, Domenick (26 October 2011). "Polaris bets big on Brammo, could deal bring electric Indians?". AOL/Time Warner. Retrieved 26 October 2011. ^ "POLARIS ACQUIRES ELECTRIC MOTORCYCLE BUSINESS FROM BRAMMO - Polaris Industries". www.polaris.com. ^ Black, Sam (11 April 2013). "Polaris buys Aixam Mega, quadricycles maker". Minneapolis/St. Paul Business Journal. ^ Berry, Lucy (9 January 2015). "Polaris will launch new manufacturing operation employing at least 1,700 in Huntsville area". The Huntsville Times. Retrieved 9 January 2015. ^ "Polaris Acquires Taylor-Dunn". polaris.com. 2016-03-07. Retrieved 2018-11-21. ^ "Victory Motorcycle Important Announcement - Polaris Industries". www.polaris.com. ^ "Polaris Dives Deeper into Boating Market with Purchase of Marquis-Larson Boat Group". Twin Cities Business. Retrieved 2019-02-08. ^ "Iron Dog Race - History of Iron Dog Winners". www.irondog.org. ^ "About Polaris Government & Defense - Off-Road Vehicles for Military & Government". military.polaris.com. Retrieved 2019-02-08. ^ "Dagor Specifications". Polaris Defense. Retrieved 9 December 2015. ^ "SOCOM, Allies Buy Lightweight DAGOR Truck; Debuts At AUSA". Breaking Defense. Retrieved 9 December 2015. ^ "Polaris Dagor, ready for action". BBC. Retrieved 9 December 2015. ^ "2015 Polaris Dagor Ultralight Vehicle". TopSpeed. Retrieved 9 December 2015. ^ "Polaris DAGOR ultra-light truck ready for combat". Fox News. Archived from the original on 10 March 2016. Retrieved 9 December 2015. ^ "Polaris DAGOR Could Meet Army's Ultra-Light Vehicle Need". Defense Tech. Retrieved 9 December 2015. ^ "IDEX 2015: Dagor set for UAE service". IHS Jane's 360. Jane's. Retrieved 9 December 2015. ^ "Ultralight Vehicle Makers Seek Mideast Buyers". DefenseNews. Retrieved 9 December 2015. ^ "SOCOMD Rough Terrain Vehicles". Australian & NZ Defender Magazine (92). Summer 2015. ^ "Polaris delivers All Terrain Vehicles to ADF". Australian Defence Magazine. Retrieved 9 December 2015. ^ Wasserbly, Daniel (March 22, 2018). "Polaris unveils new DAGOR A1 light tactical vehicle". Jane's Information Group. The DAGOR A1 can carry up to nine personnel and a total payload of up to 4,000 lb (1,814 kg), about a 20% increase over the legacy platform, Mark McCormick, a senior director for Polaris Government and Defense, told Jane’s . Wikimedia Commons has media related to Vehicles of Polaris Industries. At 1.6 million acres the Kaibab National Forest borders both the north and south rims of the Grand Canyon, in north-central Arizona. It is divided into three sections, the North Kaibab Ranger District and the South Kaibab and are managed by the United States Forest Service. The South Kaibab is further divided into two districts, the Tusayan Ranger District, and the Williams Ranger District, the Grand Canyon is a natural boundary between the North Kaibab and the South Kaibab. The South Kaibab covers 1,422 square miles and the North Kaibab stretches over 1,010 square miles, elevations vary on the forest from 5,500 feet in the southwest corner to 10,418 feet at the summit of Kendrick Peak on the Williams Ranger District. 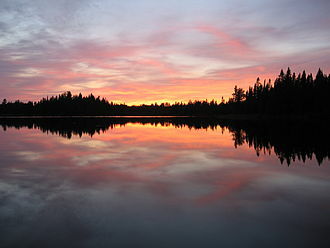 The forest as a whole is headquartered in Williams, the Kaibab Plateau is an island surrounded by lower elevations. The North Kaibab Ranger District was part of the lands withdrawn from the domain in 1893. President Theodore Roosevelt created the Grand Canyon Game Preserve in 1906, the game preserve which includes 612,736 acres of the Kaibab National Forest, is set a side for the protection of game animals and birds, and is to be recognized as a breeding place therefore. In 1908, the Forest Reserve north of the Grand Canyon, in 1919, the Grand Canyon National Park was created from the forest service lands surrounding the Grand Canyon. In 1934, the Tusayan National Forest south of the Grand Canyon was consolidated into the Kaibab National Forest, up until 1972 the North Kaibab consisted of two ranger districts, Big Springs and Jacob Lake. The headquarters of each were somewhat remote, particularly the Big Springs district, the two were combined and the forest area north of the canyon became the North Kaibab Ranger District and the district ranger station moved to Fredonia. The headquarters for the Kaibab National Forest is in Williams, the higher altitude is reflected in Bright Angels cooler temperatures and increased precipitation versus Jacob Lake. The North Kaibab is unusual for either a Csb or Dsb climate, featuring lower precipitation in summer, with July. This is followed by a drier period during the autumn months. Summers in this area feature warm days and cool nights, winters are chilly, especially at night, and snowy. As the name implies, it is designed to handle a wider variety of terrain than most other vehicles. Although it is a vehicle in some countries, it is not street-legal within most states and provinces of Australia. By the current ANSI definition, ATVs are intended for use by an operator, although some companies have developed ATVs intended for use by the operator. These ATVs are referred to as tandem ATVs, the rider sits on and operates these vehicles like a motorcycle, but the extra wheels give more stability at slower speeds. Although equipped with three or four wheels, six-wheel models exist for specialized applications, engine sizes of ATVs currently for sale in the United States, range from 49 to 1,000 cc. Royal Enfield built and sold the first powered quadracycle in 1893. It had many components, including handle bars. The Royal Enfield resembles a modern ATV-style quad bike but was designed as a form of carriage for road use. With the introduction of straddle ridden ATVs, the term AATV was introduced to define the original amphibious ATV category, the first three-wheeled ATV was the Sperry-Rand Tricart. It was designed in 1967 as a project of John Plessinger at the Cranbrook Academy of Arts near Detroit. The Tricart was straddle-ridden with a rather than sit-on style. 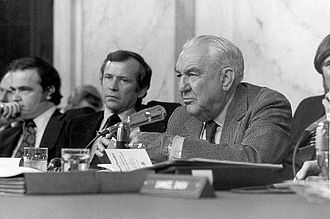 In 1968 Plessinger sold the Tricart patents and design rights to Sperry-Rand New Holland who manufactured them commercially, numerous small American manufacturers of 3-wheelers followed. I. and Hart to Hart. Dubbed the US90 and later—when Honda acquired the trademark on the term—the ATC90, clearly influenced by earlier ATVs, it featured large balloon tires instead of a mechanical suspension. By the early 1980s, suspension and lower-profile tires were introduced, the 1982 Honda ATC200E Big Red was a landmark model. It featured both suspension and racks, making it the first utility three-wheeled ATV, the ability to go anywhere on terrain that most other vehicles could not cross soon made them popular with US and Canadian hunters, and those just looking for a good trail ride. Soon other manufacturers introduced their own models, sport models were developed by Honda, which had a virtual monopoly in the market due to effective patents on design and engine placement. Polaris Industries is an American manufacturer of snowmobiles, ATV, and neighborhood electric vehicles. Polaris is based in Roseau, Minnesota, USA, the company manufactures motorcycles through its Victory Motorcycles subsidiary and through the Indian Motorcycle subsidiary which it purchased in April 2011. Robin previously developed and supplied all-terrain vehicle and snowmobile engines for Polaris Industries Inc, since that time Polaris has continued to develop their in-house engine production capacity, now designing and manufacturing all of their own power plants. In 2010 Polaris relocated a portion of its utility and sport vehicle assembly to Mexico, components manufactured in Osceola and the vehicle assembly in Roseau, Minnesota. The vast majority of powertrain and vehicles for the line are manufactured in the Osceola and Roseau facilities. Both the Victory and Indian motorcycle brands are American made with complete powertrains and vehicle assembly located in Osceola and Spirit Lake, Edgar had dropped out of school after the eighth grade in 1934. Their employees, David Johnson, partnered with Paul Knochenmus, and Orlen Johnson and these vehicles primary use was to make hunting locations more accessible. David Johnson created the prototype in 1954 while Edgar was away, after creating it using a grain silo conveyor belt as a track, a Briggs and Stratton motor, and an old Chevy bumper for skis, they had their first snow machine. 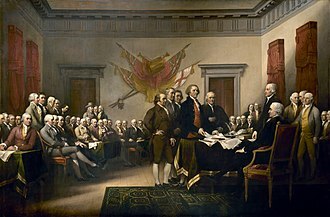 After returning from a trip, Edgar was shown the machine, and was disappointed that the group had spent company time and materials on the machine. The No 1 sled was sold to Roseau lumberyard owner Silver Pete H. F. Peterson for $465 in order to meet company payroll. However, the continued to be focused on building snowmobiles. Polaris was famous for copying other snowmobiles, the first looked and operated like a Bosak Power toboggan and copied their design for the 1962 Polaris L-55 after the Tee-Nee trailer companies Eski-Motor. The first production model rolled off the line in Minnesota in 1956. The original models weighed close to 1,000 lb and moved at a speed of about 20 mph and they came in a two-tone paint job. Aixam-Mega is a French automobile manufacturer based in Aix-les-Bains, Savoie. It was founded in 1983 to make microcars following the acquisition of Arola, on April 11,2013, US based Polaris Industries announced that it had acquired Aixam-Mega. The company can trace its history back to the establishment of Arola in 1975, in 1984 Aixam launched the new 325D, followed by the 400D in 1985. In 1992 they started making a range of standard sized cars under the Mega brand, the company currently produces the Aixam A. 7XX series, a microcar comparable with the Smart. A notable difference is some of the smaller models are restricted to 45 kilometres per hour. In Britain they are classified as a category L7e quadricycle because of their weight and this requires a category B1 licence to legally drive them. In January 2013, the law changed such that special restricted low power versions of the car can now be driven by full AM licence holders in the UK. 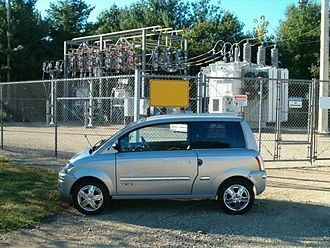 In 2006 Mega launched the electric Mega City at the British International Motor Show and in 2009 acquired the assets of NICE Car Company, the Aixam 400,500 and 500.5 are very basic vehicles mechanically by todays standards. There were a variety of engines offered over the years, the diesel is fitted with a Kubota Z482-E two-cylinder 500 cc Industrial engine rated at 11.5 bhp. The petrol versions used a Lombardini 505 cc twin-cylinder of approx 19.5 bhp, steering is by rack and pinion and has a comparatively low ratio. MacPherson strut suspension is used at the front and semi-trailing arms at the rear, brakes are by disc and single-piston calipers at the front, with drums at the rear serving for handbrake function, via cables. Transmission is by a Continuously Variable Transmission, CVT made and supplied by CVTech-IBC, the gearbox is designed for small town runabout or delivery van of less than 8 bhp and limited to 30 mph. Aixam Crossline/A-series, crossline, A-721, A-741, A-751, Aixam Scouty/Scouty-R diesel or gasoline, top speed 45 or 93 km/h. Aixam Crossline, top speed 45 or 93 km/h, Aixam City Gasol, top speed 45 km/h limited 97 km/h unlocked Aixam Mega e-City, top speed 64 km/h - in collaboration with NICE,14,745 €. E.
Monterrey, is the capital and largest city of the northeastern state of Nuevo León, in Mexico. The city is anchor to the third-largest metropolitan area in Mexico and is ranked as the ninth-largest city in the nation, Monterrey serves as a commercial center in the north of the country and is the base of many significant international corporations. It is one of the wealthiest cities in Mexico with a GDP PPP of 130.7 billion dollars in 2012, Monterreys GDP PPP per capita is of approximately 32,000 dollars. It is considered a Beta World City and competitive, rich in history and culture, Monterrey is considered one of the most developed cities in the entire country and often regarded as the most americanized in Mexico. A. Cuauhtémoc Moctezuma Brewery and Heineken, which features Norteño capital and Grupo ALFA, Monterrey is located in northeast Mexico, at the foothills of the Sierra Madre Oriental. The uninterrupted settlement of Monterrey starts in 1596, with its founding by Diego de Montemayor, in the years after the Mexican War of Independence, Monterrey became an important business center. 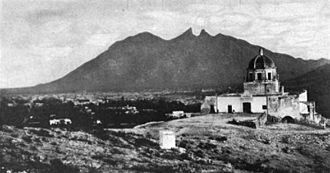 With the establishment of Fundidora Monterrey, the city experienced a great industrial growth, prior to the European foundation of the city, there was no established nation state, and the population instead consisted of some indigenous semi-nomad groups. 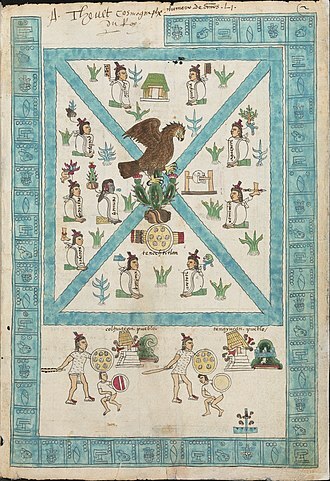 Carved stone and cave painting in surrounding mountains and caves have allowed historians to identify four major groups in present-day Monterrey, Huachichiles and Borrados. In the 16th century, the valley in which Monterrey is located was known as the Extremadura Valley, in 1580 he arrived in the newly granted lands but it was not until 1582 that he established a settlement called San Luis Rey de Francia within present-day Monterrey. The New Kingdom of León extended westwards from the port of Tampico to the limits of Nueva Vizcaya, Monterrey was the point of emigration from Europe, people from Portugal, France, Russia went to Monterrey seeing it as a good place to live in. 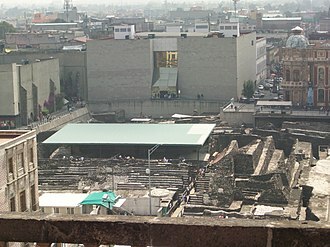 Most of the Monterrey people descent from a creole Spanish heritage, during the years of Spanish rule, Monterrey remained a small city, and its population varied from a few hundred to only dozens. The city was a place that facilitated trade between San Antonio and from Saltillo to the center of the country, tampicos port brought many products from Europe, while Saltillo concentrated the Northern Territories trade with the capital, Mexico City. 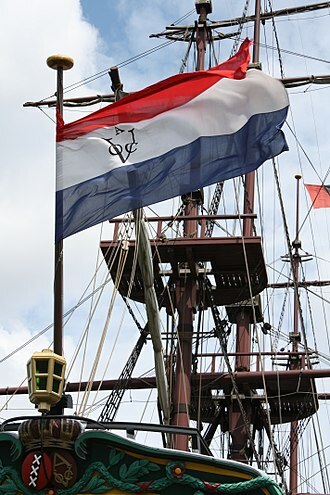 San Antonio was the key trade point with the foreign colonies. 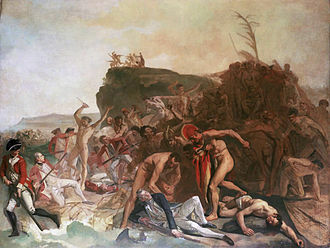 In 1824, the New Kingdom of León became the State of Nuevo León, in 1846, the earliest large-scale engagement of the Mexican-American War took place in the city, known as the Battle of Monterrey. Mexican forces were forced to surrender but only after successfully repelling U. S. forces during the first few advances on the city, the battle inflicted high casualties on both sides, much of them resulting from hand-to-hand combat within the walls of the city center. Many of the generals in the Mexican War against France were natives of the city, including Mariano Escobedo, Juan Zuazua, during the last decade of the 19th century, the city of Monterrey was linked by railroad, which benefitted industry. A Neighborhood Electric Vehicle is a U. S. denomination for battery electric vehicles that are usually built to have a top speed of 25 miles per hour, and have a maximum loaded weight of 3,000 lb. Depending on the laws of the state, they are legally limited to roads with posted speed limits of 45 miles per hour or less. NEVs fall under the United States Department of Transportation classification for low-speed vehicles, the non-electric version of the neighbourhood electric vehicle is the Motorised quadricycle. A NEV battery pack recharges by plugging into a standard outlet, if recharged from clean energy sources such as solar or wind power, NEVs do not produce greenhouse gas emissions. 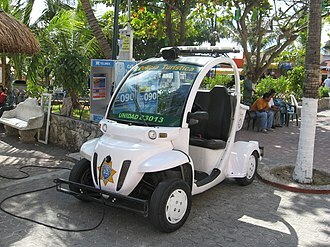 As of June 2014, the GEM neighborhood electric vehicle was the leader in North America. Sales of low-speed small electric cars experienced considerable growth in China between 2012 and 2015 due to their affordability and flexibility, a total of 200,000 low-speed small electric cars were sold in China in 2013, most of which are powered by lead-acid batteries. In 2015, sales of low-speed small electric vehicles in China totaled more than 600,000 units. Low-speed vehicle is a federally approved street-legal vehicle classification which came into existence in 1998 under Federal Motor Vehicle Safety Standard 500, there is nothing in the federal regulations specifically pertaining to the powertrain. Low-speed vehicles are defined as a motor vehicle that has a gross vehicle weight rating of less than 3,000 pounds. Those states that authorize NEVs generally restrict their operation to streets with a speed limit of 35 or 45 mph. Because of federal law, car dealers cannot legally sell the vehicles to go faster than 25 mph, however, if modified to exceed 25 mph, the vehicle becomes subject to safety requirements of passenger cars. In many cases, doors may be optional, crash protection from vehicles is partially met compared to other non motorized transport such as bicycles because of the use of seat belts. Regulations for operating an NEV vary by state, the federal government allows state and local governments to add additional safety requirements beyond those of Title 49 Part 571.500. KTM-Sportmotorcycle AG is an Austrian motorcycle manufacturer owned by CROSS Industries AG and Bajaj Auto Limited. KTM was formed in 1981 but traces its foundation as early as in 1934, in 1992 the company was spun off from its parent company KTM when it ran into financial troubles. KTM was split into four companies, all of which shared the same KTM branding, however, KTM-Sportmotorcycle is most commonly associated with the KTM brand, because it still continues the flagship business of its parent company. In 1934 an Austrian engineer Johann Trunkenpolz set up a metal working, in 1937 he started selling DKW motorcycles and Opel cars the following year. His shop was known as Kraftfahrzeug Trunkenpolz Mattighofen, but the name was unregistered, during the Second World War his wife took care of the business which grew mainly of diesel engine repairs. After the war, demand for repair works fell sharply and Trunkenpolz started thinking about producing his own motorcycles, the prototype of first motorcycle, the R100 was produced in 1951. All of the components of the motorcycle were produced in house, in 1953, businessman Ernst Kronreif became a sizable shareholder of the company which was renamed and registered as Kronreif & Trunkenpolz Mattighofen. KTM started serial production of R100 in 1954, with just 20 employees, motorcycles were built at the rate of three per day. The company’s first title was secured shortly thereafter with the 1954 Austrian 125 national championship, KTM first made an appearance at the International Six Days Trials in 1956 where Egon Dornauer secured a gold medal. Racing continued to be a ground for production technology, but next in line was its first scooter. It started providing a team for the ISDE in ’64. As the company continued to expand, the workforce totaled 400 in 1971, in 1955 Tourist 125cc model was developed. In 1957 KTM built the first sports motorcycle Trophy 125cc, KTMs first moped, called Mecky was launched in 1957, followed by Ponny I in 1960 and Ponny II in 1962. The 1960s saw the beginning of the bicycle production, beside, KTM was able to produce motorcycles for the racing industry. Spirit Lake is a city in Dickinson County, United States. The population was 4,840 at the 2010 census and it is the county seat of Dickinson County. The town is located along the shore of East Okoboji Lake. The Dakota Sioux originated the name of Spirit Lake referring to it as The Lake of The Spirit, in 1856, three brothers-in-law created the town of Spirit Lake after a visit to the Lakes area piqued their interest. Wheelock, were joined by various other settlers, making homes along the lakes shores. 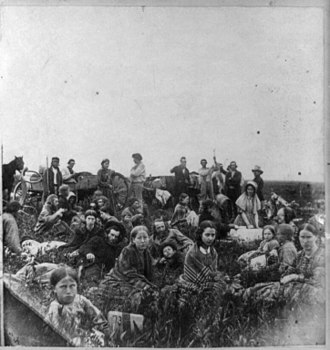 These settlers however, did not get along peacefully with the natives, and on March 13,1857 Chief Inkpaduta of the Sioux led a revolt against the non-native settlers, killing all but four women. According to the United States Census Bureau, the city has an area of 4.65 square miles. As of the census of 2010, there were 4,840 people,2,157 households, the population density was 1,045.4 inhabitants per square mile. There were 2,578 housing units at a density of 556.8 per square mile. The racial makeup of the city was 97. 7% White,0. 2% African American,0. 2% Native American,0. 6% Asian,0. 1% Pacific Islander,0. 1% from other races, and 1. 1% from two or more races. Hispanic or Latino of any race were 1. 3% of the population,36. 5% of all households were made up of individuals and 16. 8% had someone living alone who was 65 years of age or older. The average household size was 2.19 and the family size was 2.88. The median age in the city was 41.9 years. 23. 1% of residents were under the age of 18, 6% were between the ages of 18 and 24,24. 6% were from 25 to 44,26. 3% were from 45 to 64, and 19. 9% were 65 years of age or older. The gender makeup of the city was 47. 1% male and 52. 9% female, as of the census of 2000, there were 4,261 people,1,792 households, and 1,130 families residing in the city. The population density was 1,280.2 people per square mile, there were 2,024 housing units at an average density of 608.1 per square mile. The racial makeup of the city was 98. 99% White,0. 14% African American,0. 12% Native American,0. 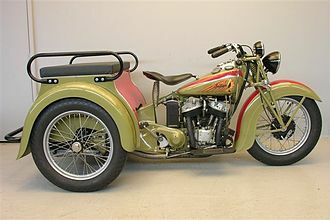 Indian is an American brand of motorcycles originally produced from 1901 to 1953 in Springfield, United States. Hendee Manufacturing Company initially produced the motorcycles, but the name was changed to the Indian Motocycle Manufacturing Company in 1928, the Indian factory team took the first three places in the 1911 Isle of Man Tourist Trophy. During the 1910s, Indian became the largest manufacturer of motorcycles in the world, Indians most popular models were the Scout, made from 1920 to 1946, and the Chief, made from 1922 until 1953, when the Indian Motocycle Manufacturing Company went bankrupt. Various organizations tried to perpetuate the Indian Brand name in subsequent years, in 2011, Polaris Industries purchased Indian Motorcycles and moved operations from North Carolina and merged them into their existing facilities in Minnesota and Iowa. 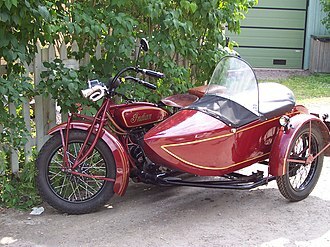 Since August 2013, Polaris has marketed multiple modern Indian motorcycles that reflect Indians traditional styling, the Indian Motocycle Co. was founded as the Hendee Manufacturing Company by George M.
Hendee in 1897 to manufacture bicycles. Both Hendee and Hedstrom were former bicycle racers and manufacturers, and they teamed up to produce a motorcycle with a 1.75 bhp, the motorcycle was successful and sales increased dramatically during the next decade. In 1901, a prototype and two units of the diamond framed Indian Single were successfully designed and tested. The first Indian motorcycles, having chain drives and streamlined styling, were sold to the public in 1902, in 1903, Indians co-founder and chief engineer Oscar Hedstrom set the world motorcycle speed record of 56 mph. In 1904 the company introduced the red color that would become Indians trademark. Annual production of Indian motorcycles exceeded 500, rising to a peak of 32,000 in 1913, the engines of the Indian Single were built by the Aurora Firm in Illinois under license from the Hendee Mfg. Co. until 1906. Aurora produced engines under license for Indian from about 1901 to 1907, however they were allowed to sell Indian design engines to third parties. A snowmobile tour at Yellowstone National Park. The ATV is commonly called a four-wheeler in Australia, New Zealand, South Africa, parts of Canada, India and the United States. They are used extensively in agriculture, because of their speed and light footprint. 6x6 Polaris Big Boss in use by the Norwegian military in Afghanistan. A rowboat or rowing boat is an early example of a watercraft. RNLI Severn class lifeboat in Poole Harbour, Dorset, England. 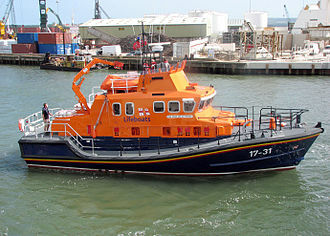 This is the largest class of UK lifeboat at 17 metres long. Pack mule train along the South Kaibab Trail in the Grand Canyon, carrying camping supplies following the riders on day 2 outbound of a tourist excursion, on 31 March 2009, 13:51 hrs. The "Mini" Ralph Englested Arena, Thief River Falls, Minnesota. Top left: View of the city, Puente de la Unidad, Estadio BBVA Bancomer, Banorte Financial Group Building, Metropolitan Cathedral of Our Lady, Torre Ciudadana, Saddle Mountain (Cerro de la Silla), Valle Oriente district and the Government Palace Museum. The south wing of the Depot Hotel, listed on the National Register of Historic Places, is all that remains of the city's railway heritage. 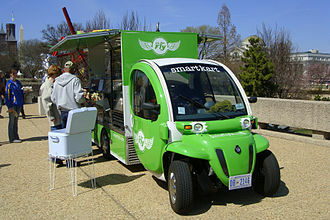 A GEM xLXD NEV used by a street food vendor at the National Mall, Washington, D.C. 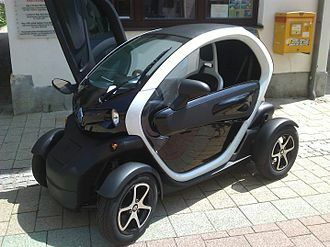 The Renault Twizy was launched in Europe in 2012 and it is classified as a heavy quadricycle. Lada Largus is a type of commercial cars for transporting goods.